Serpent.AI was developed taking full advantage of Python 3.6 so it is only natural that the Python requirement be for versions 3.6 and up. Installing regular Python 3.6+ isn’t exactly difficult but Serpent.AI relies on a good amount of scientific computing libraries that are extremely difficult / impossible to compile on your own on Windows. Thankfully, the Anaconda Distribution exists and takes this huge weight off our collective shoulders. Download the Python 3.6 version of Anaconda 5.2.0 and run the graphical installer. The following commands are to be performed in an Anaconda Prompt with elevated privileges (Right click and Run as Administrator). It is recommended to create a shortcut to this prompt because every Python and Serpent command will have to be performed from there starting now. Redis is used in the framework as the in-memory store for the captured frame buffers as well as the temporary storage of analytics events. It is not meant to be compatible with Windows! Microsoft used to maintain a port but it’s been abandoned since. This being said, that Redis version is sufficient and it outperforms stuff like running it in WSL on Windows 10. It will install as a Windows Service. Make sure you set it to start automatically. 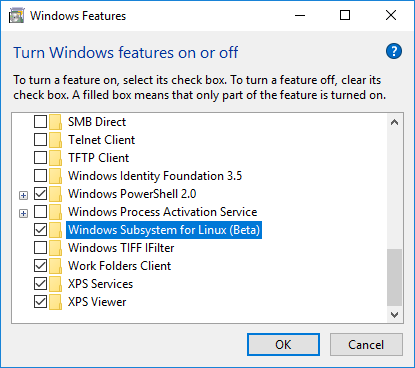 Which you can connect to from within bash or from your Windows desktop using the redis-cli native Windows binary from MSOpenTech. Some of the packages that will be installed alongside Serpent.AI are not pre-compiled binaries and will be need to be built from source. This is a little more problematic for Windows but with the correct C++ Build Tools for Visual Studio it all goes down smoothly. Once all of the above had been installed and set up, you are ready to install the framework. Remember that PATH changes in Windows are not reflected in your command prompts that were opened while you made the changes. Open a fresh Anaconda prompt before continuing to avoid installation issues. Go back to the directory you created earlier for your Serpent.AI projects. Make sure you are scoped in your Conda Env. Then run serpent setup to install the remaining dependencies automatically. In the spirit of keeping the initial installation on the light side, some specialized / niche components with extra dependencies have been isolated from the core. It is recommended to only focus on installing them once you reach a point where you actually need them. The framework will provide a warning when a feature you are trying to use requires one of those modules. A module to provide OCR functionality in your game agents. You can test your Tesseract installation by opening an Anaconda Prompt and executing tesseract --list-langs. A module to allow Serpent.AI desktop app to run. Kivy is the GUI framework used in the framework.